The Roman Dead exhibition is a snapshot of 40 years of archaeological work across London’s Roman burial sites and is the first of its kind to explore the rituals, deaths and burials of ancient London, providing visitors with a visual insight into burial ceremonies and beliefs around the afterlife in Roman times. The museum says that items on display range from everyday objects, such as pots and vessels which may have held incense used in ceremonies to bury loved ones, to priceless artefacts, like a millefiori glass dish which would have cost the equivalent of a year’s salary for a Roman soldier. 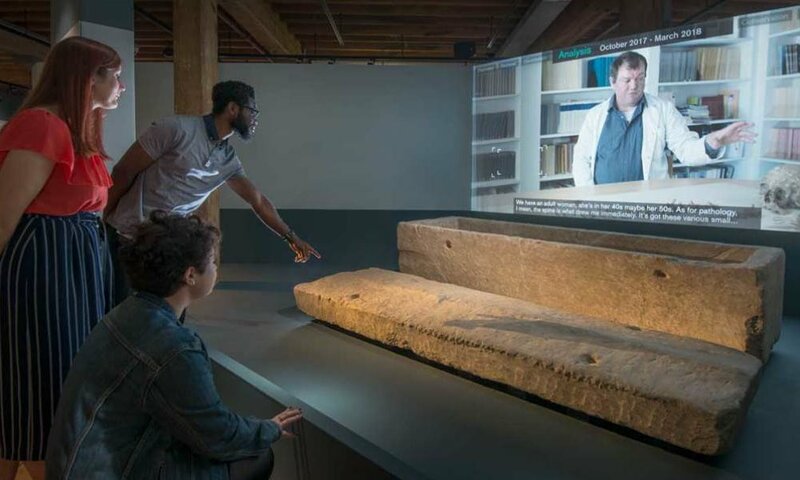 “These precious items highlight that even from its earliest days, some of London’s population possessed immense wealth, and that the city had connections to the rest of the world,” says the museum. However, as well answering questions about the lives of Londoners in Roman times the excavations have also left archaeologists scratching their heads at some their findings. For example, why were so many Roman children were buried with chickens? A man was buried with the front portion of a piglet and goose skeleton, all disarticulated. The back portion of the piglet and the leg of a chicken was found in another grave. It is unclear why the animals had been dissected, and why a man was laid to rest with these animal parts. A 36-year-old woman was found buried in a wooden coffin, packed with chalk. Her cranium was placed on her pelvis but her jaw remained in the correct position. This indicates deliberate re-location of the skull after decomposition of soft tissue. A large quantity of boulders had been placed on her coffin, perhaps to confine her spirit inside. The skeleton was truncated below the knees. Where had her legs gone, and why was her head in two parts? The skulls of 40 people were found in waterlogged pits near London Wall. Most of the individuals were men, aged between 18 and 35 years old. Their skulls frequently showed signs of multiple blunt and sharp-force trauma which had caused their deaths. Many also had healed injuries, suggesting that violence was a common feature in their lives. 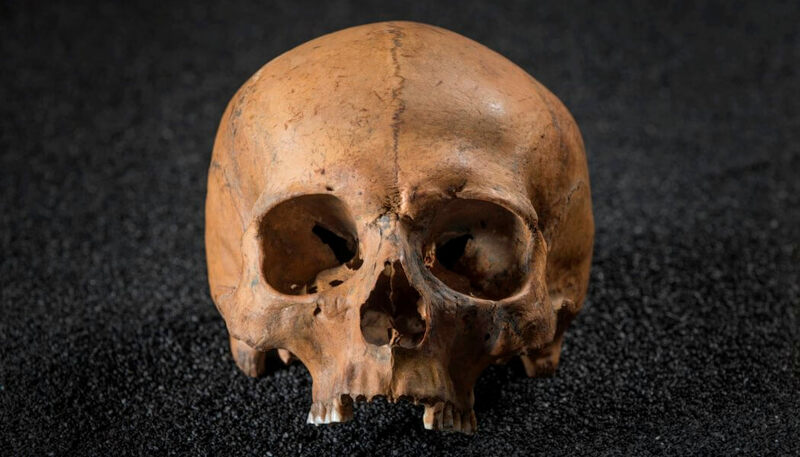 Why their skulls had been left in pits is uncertain – were they executed criminals, gladiators or victims of an attack? A female dog was found buried in her own grave, however her skull missing. She was wearing a collar when she was buried. Was the decapitation a chilling cause of death, or a post-life ritual? A deep pit with a probable ritual purpose was found and its contents were carefully sieved. It was found to contain the bones of many animals including over 230 frogs and 62 small mammals, such as mice, as well as a heron. We can assume this was a deliberate disposal of the animals, but what was the purpose behind it?